A wedding & event destination that nods to the nautical heritage of Newport, The Bohlin is a classic seaside experience that embraces a coastal chic design aesthetic. 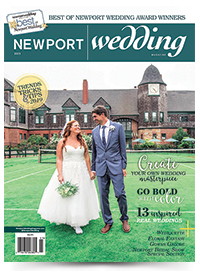 Visit us at Rosecliff booth # 7P at the 16th Annual Newport Bridal Show on February 17, 2018. We look forward to meeting you there! Complete the form below to send Newport Restaurant Group an e-mail message.